Recently, more and more car makers have been seen adding 'Drift' modes into their high performance cars. These cars include the latest Mercedes-AMG E63 and the McLaren 720S. The upcoming BMW M5 will also be offered with this mode that allows the all-wheel drive vehicle to disconnect its front wheels and send power to rears only. You can thank Ford for bringing this feature into the market first with the Ford Focus RS. It is currently one of the best driving hot hatch on sale now. 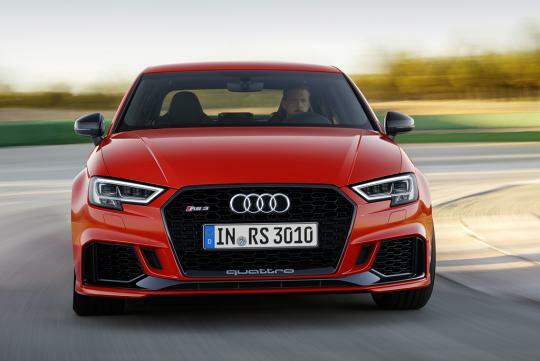 However, Audi Sport's Head of Development Stephan Reil said that the company has no interest in making its vehicles slide. In an interview with Motoring, Reil said that there is simply no need for a drift mode as a similar result can be achieved by switching off the vehicle's ESP system. “No drift mode. Not in the R8, not in the RS3 not in the RS6, not in the RS4. I don’t like them. I do not see the reason for them. We do not see the sense in sitting there burning the back tyres. It’s not fast. It’s much faster the way we do it, and drifting also does not really suit the architecture of our cars,” Reil said.